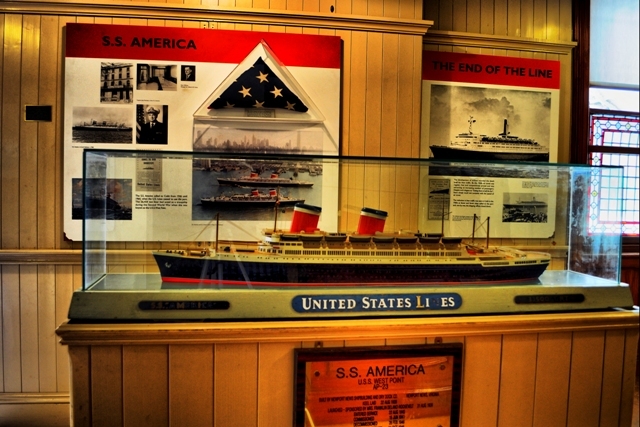 The Cobh Heritage Centre is home to “The Queenstown Story”. The exhibition tells a number of stories; Irish emigration from the town of Cobh, transportation of convicts to Australia and the West Indies, The Great Famine, and the close connections between Cobh and the two great Liners, The Titanic and The Lusitania. It is a moving, informative and educational exhibit that leaves the visitor with an emotional and unforgettable memory and experience. The exhibition is self-guided but on request, a short introductory talk can be arranged which outlines what the exhibition is all about. The Cobh Heritage Centre also has a café/restaurant which is ideal for a coffee, lunch or afternoon break from touring. There are also two gift shops on site. Coach and car parking available. Groups welcome. For further information and booking enquiries, please consult the Cobh Heritage Centre website.